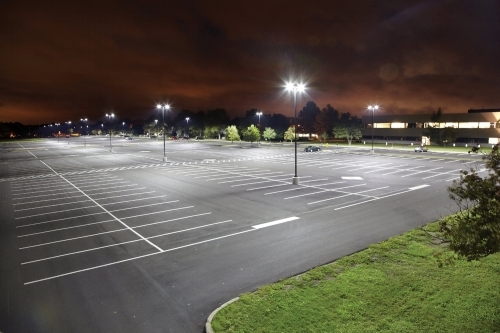 LED Direct proudly sells LED parking lot lights and parking lot LED lighting fixtures to Midwest cities, like Kansas City, Oklahoma City, and more. LED parking lot / flood lights are one of the most widely retrofit LED fixtures because of their huge energy savings potential and drastic maintenance expense elimination. Our showroom has many of our popular LED parking lot light options on display to see how they illuminate, so there's no need to drive by at night! Slim & low profile design that min­imizes wind load. The trunnion mount bracket allows for great mounting flexibility. 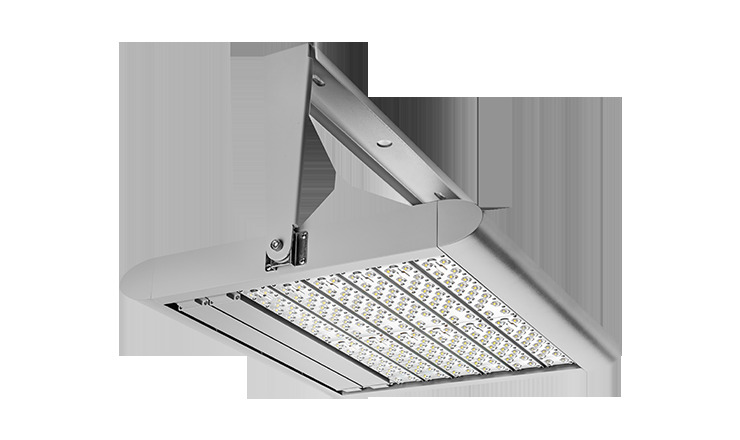 top of the line fixture manufacturer with multiple options for optic distribution and multiple color options.